Battle Honour CAMBRAI 1917,'18 - the Fourth Day. Robert Quigg was born in 1885 at Cornkirk, County Antrim near the Giant’s Causeway where, as a young man, he worked on the Macnaghten estate. When Sir Edward Harry Macnaghten served with the 12th Battalion The Royal Irish Rifles, Robert Quigg became his batman. 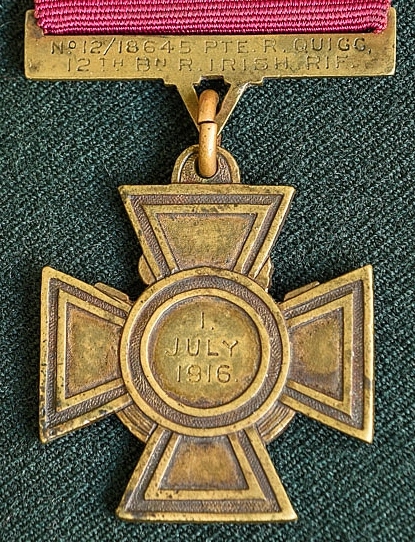 On the hot and sunny day that was the 1 July 1916, Private Quigg, with the rest of the platoon, advanced three times to try to reach the German front lines. However, each time the attack failed when the withering fire of German machine guns mowed down many of his friends. In the aftermath of battle, Quigg could not remain deaf to the cries and moans of his wounded friends lying in no man's land. He crawled from shell hole to shell hole seeking the wounded and dragging them back to British lines and medical aid. On the following day when it was clear that Sir Harry Macnaghten was missing, probably lying wounded in no man's land, Quigg again combed the blood-soaked mud. The German snipers, machine gunners and mortar teams had him targeted, never mind the many artillery shells that were landing round him. He calmly ignored all and evaded all as he crawled through the mud from shell hole to shell hole. 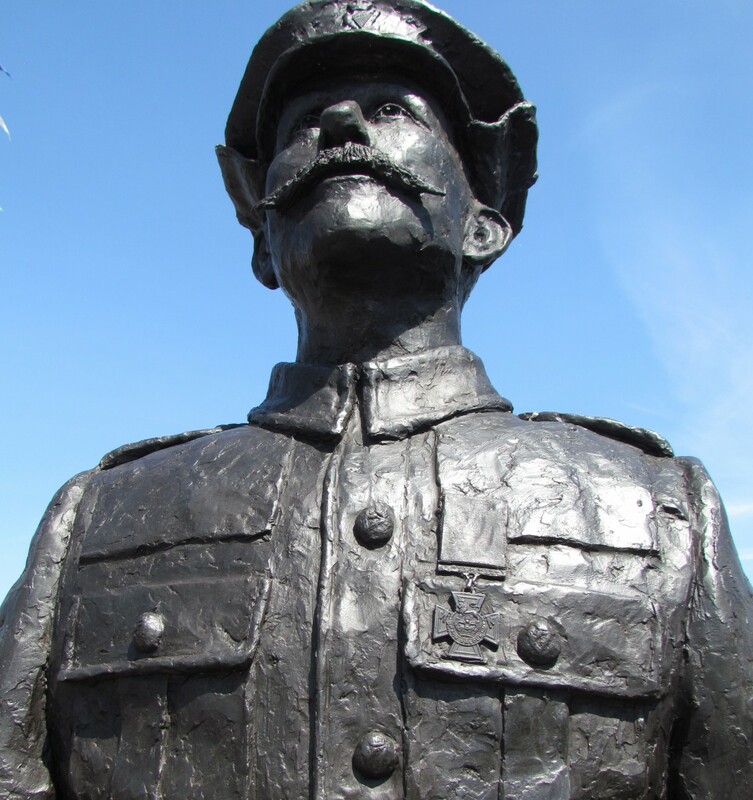 He found, and carried or dragged back, wounded men on separate trips until, at nightfall on 2 July 1916, he was forced to give up when those left of his Battalion were ordered back from the trenches. No. 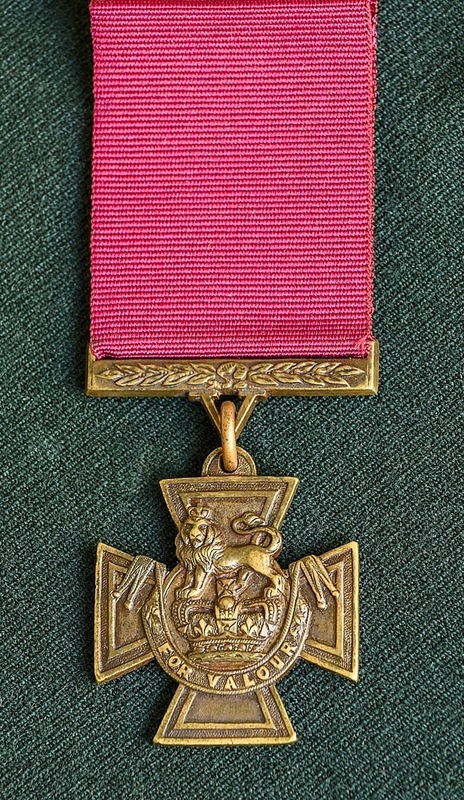 12/18645 Pte. Robert Quigg, R. Ir. Rif. that he had to give it up. Other regiments carried on the search of no-man's-land over the subsequent days and weeks as the battle raged around them. Sir Harry's body was never found. Today Sir Harry Macnaghten is remembered in Bushmills Church of Ireland, on the town war memorial, and on the Thiepval Memorial to the Missing of the Somme. Private Robert Quigg VC survived the war and went on to make the army his career, retiring as a sergeant at the Royal Ulster Rifles Depot in Armagh in 1934. He continued to work in the barracks in Armagh as a civilian after he left the army, only returning to Bushmills much later in life. He died at the hospital in Ballycastle on 14 May 1955 aged seventy. Sergeant Quigg was given a full military funeral and is buried in the Billy Parish Church of Ireland graveyard near Bushmills. 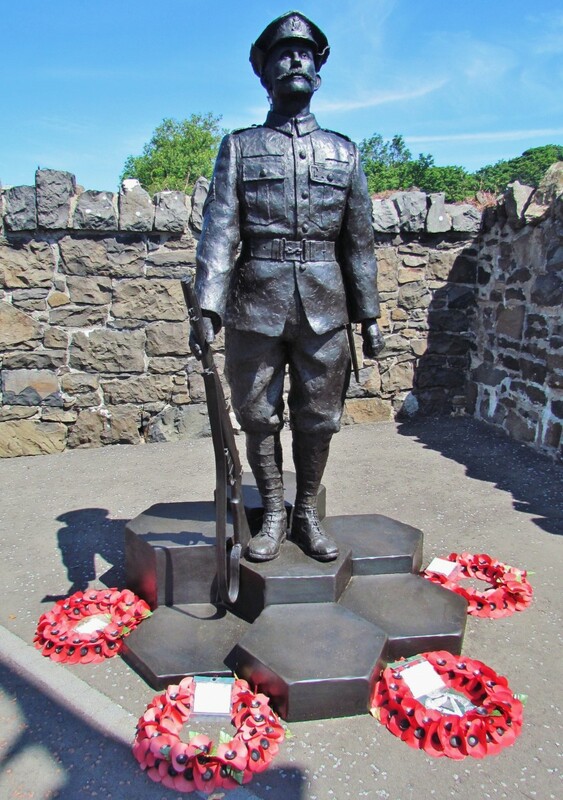 Above left; the memorial statue to Robert Quigg VC was erected in Bushmills village and unveiled by HM The Queen on 28 June 2016. Right, Robert Quigg's medals including the Russian Order of St George Medal (4th Class). The VC is not the original in this display.